Nature's Plus is pleased to offer your child's first easy-to-swallow multi-vitamin and mineral formula. 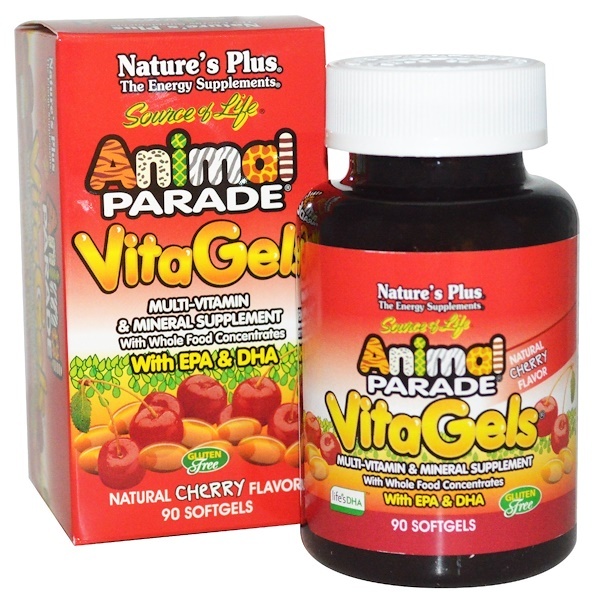 Animal Parade VitaGels with EPA and DHA features small, smooth softgels that are cherry-flavored both inside and out, to make this new experience even more pleasant for your child. The broad nutritional profile includes essential vitamins and minerals, whole foods, and precise ratios of essential fatty acids EPA and DHA. Help your children graduate to the next step in healthy development with superior-quality Animal Parade VitaGels. 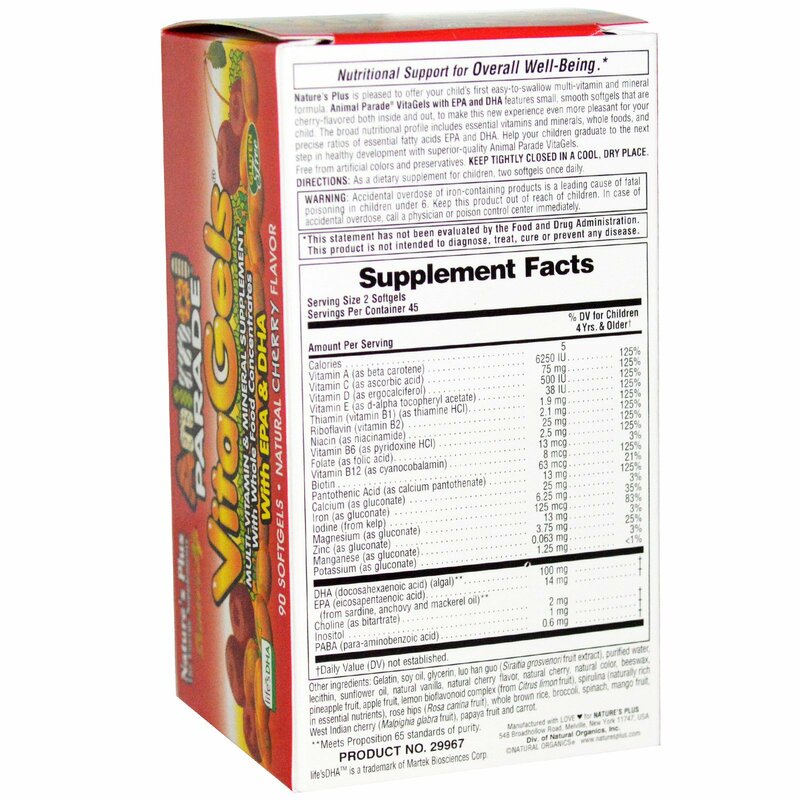 Directions: As a dietary supplement for children, two softgels once daily. Gelatin, soy oil, glycerin, luo han guo (Siraitia grosvenori fruit extract), purified water, lecithin, sunflower oil, natural vanilla, natural cherry flavor, natural cherry, natural color, beeswax, pineapple fruit, apple fruit, lemon bioflavonoid complex (from citrus limon fruit), spirulina (naturally rich in essential nutrients), rose hips (rosa canina fruit), whole brown rice, broccoli, spinach, mango fruit, West Indian cherry (malpighia glabra fruit), papaya fruit and carrot. **Meets Proposition 65 standards of purity.